Even though flying is one of the safest forms of transportation, airspace is more crowded than you might think, and it almost lead to a collision at John F. Kennedy Airport in New York City on Tuesday. On Tuesday, Volaris flight 880 came in to land at around 1:25 p.m. on Runway 13, however the runway was already occupied by a Delta plane getting ready for take off. And unlike cars on the road, it’s a lot harder to swerve and stop a plane. According to ABC7 in New York, the Volaris plane was cleared to land on Runway 13 Left, but it lined up to land at Runway 13 Right, where the Delta plane was, by mistake. The control tower was able to redirect the flight without incident, according to a transmission transcript. Luckily, the Delta flight also managed to stop on the runway as well. 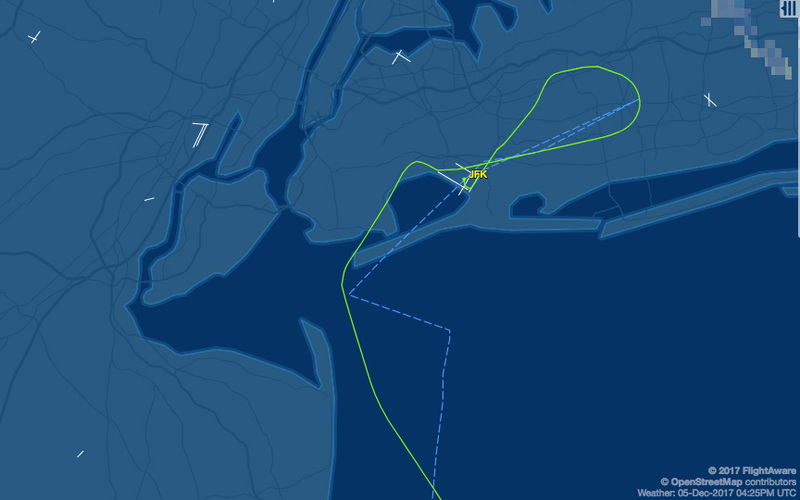 FlightAware shows the Volaris flight circling around JFK. Only a week ago, there was a minor collision on the JFK taxiway when an EgyptAir plane clipped the wing on a Virgin Atlantic plane that was about to take off to London.